例文: I'll have a hangover tomorrow for sure. 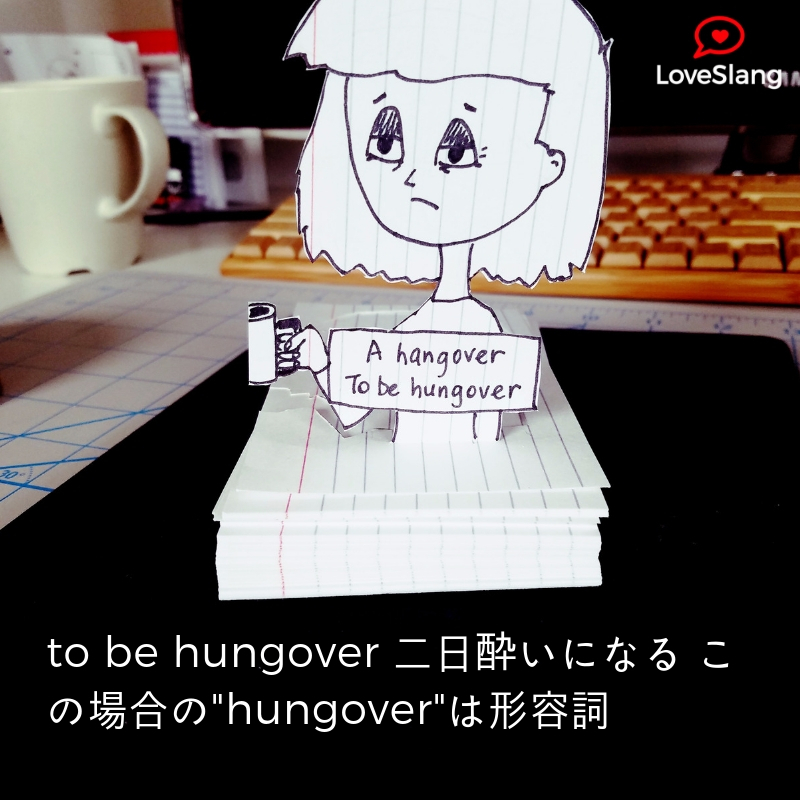 例文: I am so hungover. 例文: I felt queasy after breakfast this morning.